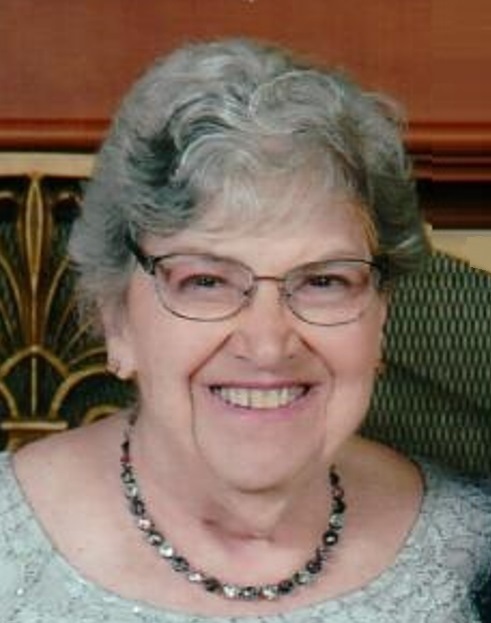 Obituary for Lucia T. (Cicchino) Spicuzza | Laughlin Memorial Chapel, Inc.
Age 76, was reunited with her beloved husband of almost 50 years, Jack Spicuzza, on March 23, 2019. A lifelong resident of Mt. Lebanon, she was born January 25, 1943, daughter of the late Nicholas M. and Flora T. Cicchino; loving mother of Theresa M. (Robert) West, John P. (Suzanne) Spicuzza, David S. (Tracy) Spicuzza and Donna L. (Bryan) Garabo; very proud and loving ChiChi and Gramin to eleven grandchildren, Alec, Veronica, Noah, Palmer, Nicholas, Olivia, Michael, Megan, Lucia, Talea and Isabella. Sister of Nikki (Bob) Busch and Michele (Rick) Cepko; sister-in-law of Philip R. (Patricia) Spicuzza and Sandra Smonko. Also survived by many nieces and nephews. Beloved mom and angel to Joseph Robinson. Lucia earned her nursing degree from St Joseph’s and a BSN from St Joseph’s College Maine. She was a champion for a mother’s rights during birth and brought many new lives into this world in her time at both St. Clair Hospital and Allegheny General Hospital where she was a pioneer in helping to develop patient databases and computer charting. Lucia was a bright light, devoted to her family, friends and community. She will be remembered for her selflessness and genuine love and kindness which enveloped everyone she met. She believed in the power and beauty of the Blessed Mother and always sent you on your way with an army of angels to watch over you. Lucia was proof that angels walked this earth. She faced every challenge with courage and boundless faith. And now to her we say “Angels Be With You”. Friends will be received at Laughlin Cremation & Funeral Tributes, 222 Washington Road, Mt. Lebanon, FRIDAY March 29 2:00-4:00 and 6:00-8:00 p.m. Mass of Christian Burial will be celebrated in Saint Anne Church, Saturday morning March 30 at 9:30. Entombment will follow in Queen of Heaven Mausoleum. In lieu of flowers, memorial contributions for the Hillman Cancer Center may be made to University of Pittsburgh in support of Non-Hodgkins Lymphoma research. Please mail to: Development Office, UPMC Cancer Pavilion, Suite 1B, 5150 Centre Avenue, Pittsburgh, PA 15232; Or to the Asbury Foundation for the Independent Living Activity Fund; Asbury Heights, 700 Bower Hill Road, Pittsburgh, PA, 15243.